Found her on the 1910 Olean, Cattaraugus, New York census (dist 81 img 6) as Bertha Beckman age 33. Has given birth to 4 children, 3 are living. Father, mother born Germany. Found her on the 1920 Germantown, Columbia, New York census (dist 17 img 10) as Elva Funk age 23. Found her on the 1940 Germantown, Columbia, New York census (dist 11-17 img 26) as Elva Funk age 43. Found him on the 1920 Wilmington Ward 9, New Castle, Delaware census (dist 111 img 13) as Reuben Breskman age 28, owner, auto accessories. Found her on the 1880 Ironton, Lincoln, North Carolina census (dist 101 img 25) as Minnie Bynum age 2. Found her on the 1930 Precinct 1, Hemphill, Texas census (dist 2 img 2) age 6 months. The death of Mrs. Ida M. Westfall wife of Elbridge Westfall, a well know resident of Greenport, occurred at an early hour this morning at her home there. She was liked and respected in the community and held the friendship ol many residents of Greenport and vicinity, all of whom will regret to learn of her death. 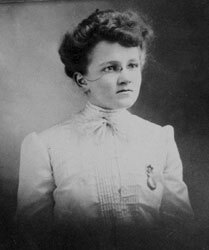 Besides her husband Mrs. Westfall is survived by two daughters, Mrs. Charles M. Decker and Mrs. Ernest Caswell, both of Hudson and by two grandchildren. Audrey and Joy Caswell ot this city. Two brothers, A. Howard Fingar, Hudson RD, and Morton L. Fingar, Elizaville, and one sister, Mrs. H. G. Rockefeller of Germantown also survive. Mrs. Wesfall was the daughter of the late Louis and Mary Link Fingar. Found her on the 1900 Gallatin, Columbia, New York census (dist 12 img 3) as Ida M. Fingar age 14. Found her on the 1940 Greenport, Columbia, New York census (dist 11-22 img 17) as Ida Westfall age 54. Found him on the 1910 Fort Dodge Ward 1, Webster, Iowa census (dist 215 img 7) as Burton Finger age 1 year 11 months. Found him on the 1915 Paton, Greene, Iowa census as Berton R. Finger age 10. Has lived in Iowa for 7 years. Found him on the 1925 Paton, Green, Iowa state census as Thurston Finger age 16. Found him on the 1930 Dawson, Greene, Iowa census (dist 3 img 12) as Berton Finger age 21, single, living at home. Laborer, farm. Found him on the 1940 Grand Junction, Greene, Iowa census (dist 37-15 img 28) as Burton L. Finger age 31. Occupation, unreadable. He was a German tailor recently come to England from Germany. He immigrated to the U.S. in 1887. - Encyclopedia of Arkansas. Found him on the 1881 Chelsea, London, England census as Charles Finger age 41. Found him on the 1900 Bronx, New York, New York census (dist 1018 img 21) as Charles Finger age 61, widower. Father, mother born Germany. Found him on the 1910 Queens Ward 2, Queens, New York census (dist 1181 img 9) age 70, widower. He is living with his daughter and her husband Arnold and Phillipina Fox. Found him on the 1920 Gainesville, Hall, Georgia census (dist 102 img 13) as George W. Finger Jr. age 2 years 7 months. Found him on the 1930 Gainesville, Hall, Georgia census (dist 10 img 8) age 13. Found her on the 1930 District 2, Shelby, Tennessee census (dist 166 img 30) as Irene Finger age 9. 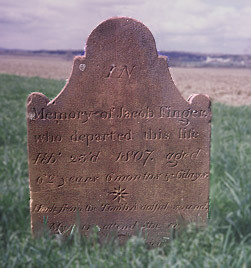 A Jacob Finger is found on the Minutes of the committee of Safety of the Manor of Livingston, Columbia County, New York in 1776. An entry dated 26 May 1776 says "Jacob Finger appeared. Resolved that he take the Oath and pay three pounds". Found him on the 1910 Jacobs Fork, Catawba, North Carolina census (dist 26 img 4) as James G. Finger age 3. Found him on the 1920 Lincolnton, Lincoln, North Carolina census (dist 106 img 12) age 13. Found him on the 1930 Lincolnton, Lincoln, North Carolina census (dist 15 img 14) as J. Galan Finger age 23, laborer, general farm, single, living at home. Found him on the 1940 Lincolnton, Lincoln, North Carolina census (dist 55-18 img 28) as Gaylond Finger age 32, single, living at home. Farm laborer. Found him on the 1940 Jacobs Fork, Catawba, North Carolina census (dist 18-24A img 30) as James Weston Finger age 2. Her early years were spent in Chapel Hill, Charlotte, and Morganton. She was an honor graduate of Morganton High School in 1965, and 1969 graduate of the University of North Carolina at Chapel Hill with a B.A. in Education. Judy taught school, volunteered and worked many hours in libraries. She loved children, especially the loves of her life, Hunter and Nick, her nieces and nephews and their children. Found him on the 1920 Waco, McLennan, Texas census (dist 118 img 3) as Robert F. Grogan age 8. Miss Ethel Tremaine Hall and Pfc Eugene Arthur Scott were married March 19 in the post chapel at Fort Richardson, Anchorage, Alaska. The single ring ceremony was performed at 2 by Maj. W. B. Alsworth, post chaplain. Prior to the wedding a recording of traditional wedding music was played with Lorena Reynolds, of New York, as the soloist, and the bridegroom's mother as accompanist. Mrs. Reynolds is the former Lorena Start of Remsen. A reception followed in the Club 25. The bride is the daughter of Mr. and Mrs. Richard Hall, East Greenbush. Mr. Scott is the son of Mr. and Mrs. Arthur Irving Scott, East Greenbush. The bridegroom was graduated from schools in Remsen and attended Hamilton College and Albany State Teachers College. His WWI draft registration has his name spelled Ellwood, including his signature. His WWII draft registration has his name as Ellwood Frank Homan. Found him on the 1900 Reading Ward 3, Berks, Pennsylvania census (dist 53 img 31) as Elwood Homan age 10. Found him on the 1910 Reading Ward 14, Berks, Pennsylvania census (dist 96 img 3) as Elwood Homan age 19, apprentice, locomotive shop. Found him on the 1920 Reading Ward 14, Berks, Pennsylvania census (dist 108 img 14) as Elwood F. Homan age 29, single. Machinist, steam railroad. His widowed mother Elizabeth age 63 is living with him. Found her on the 1850 Van Buren, Onondaga, New York census (img 2) as Frances Hudson age 6. Frances and Francis are twins. Found her on the 1860 Camillus, Onondaga, New York census (img 5) as Francesatte Hudson age 16. Possible parents Jacob and Annie Hula - On the 1900 census they are listed as Jacob and Allen Huli. Found her on the 1900 Grover, Marinette, Wisconsin census (dist 131 img 6) as Lucy Votava age 38. Found her on the 1880 Ironton, Lincoln, North Carolina census (dist 101 img 25) as Sallie Keener age 3. Found her on the 1900 Ironton, Lincoln, North Carolina census (dist 109 img 29) as Sallie C. Keener age 27, single, living at home. Family 1 : Lillian A. Found him on the 1895 Dunellen, Middlesex, New Jersey state census age 5-30. Found him on the 1900 Dunellen, Middlesex, New Jersey census (dist 29 img 13) as Grover G. Kratzel age 15. Found him on the 1910 Dunellen, Middlesex, New Jersey census (dist 2 img 10) age 23, carpenter, single, living at home. He signed his WWII draft registration card as Grover C. Kretzel. Found her on the 1910 Elberta, Woods, Oklahoma census (dist 269 img 1) as Marjorie L. Lowry age 5. Found her on the 1920 Monterey Park, Los Angeles, California census (dist 13 img 25) as Louise Lowry age 14. She is living in the household of her brother Herman Lowry along with her siblings Sydney, Ruth, and Gwendolyn. Miss Betty Ann Magee, daughter of Mr. and Mrs. Joseph G. Magee, 126 Main Street, and Gordon R. Finger, son of the late Mr. and Mrs. William Finger, were married Wednesday, August 27, at 11 a. m., at St. Michael's Church. The single ring service was performed by Rev. Thomas C. Kane, assistant pastor. Church decorations consisted of baskets of gladioli and palms. The wedding marches were played by Mrs. Martin McMinn, church organist. The bride wore a suit of gold linen, with brown accessories and her corsage was white rosebuds. Her attendant, Miss Rosemary Nielson, wore navy blue linen suit, with accessories in matching shade and corsage of white rosebuds. James Whitbeck of Penn Yan, was best man. The bride's mother wore navy blue crepe, matching accessories and corsage of white and pink rosebuds. A reception for fifty guests was held at the home of Mr. and Mrs. Jame Whitbeck, 513 Court Street. Upon their return from a honeymoon, Mr. and Mrs. Finger will make their home in Penn Yan. The bride was graduated from Penn Yan Academy and has been employed at the W. T. Grant Co., and the bridegroom, also a graduate of Penn Yan Academy, served five years in the U. S. Army, two of which were in overseas service. He now is employed at the National Manufacturing Co.
PENN YAN - Elizabeth A. "Betty" Finger, 82, of Penn Yan died Saturday, August, 30, 2008 at Geneva General Hospital. A private memorial service will be held at the convenience of the family at the Townsend-Wood Funeral Chapel in Penn Yan. Interment will be at St. Michaels' Cemetery in Penn Yan. Memorials may be made in her name to the Keuka Comfort Care Home, P.O. Box 107, Penn Yan, New York. Betty is survived by her daughter, Mary Gale Sisson; grandson, Zachary Sisson; sisters-in-law, Kathryn Jensen and Louise Finger; and other family including Dorothy Barry and Maureen Osborne. She was predeceased by her husband, Gordon, in November, 2000 and her son, Douglas 'Dougie' Finger in 1976. Found her on the 1850 Glen, Montgomery, New York census (img 9) as Alida Mesick age 10. Found her on the 1900 Ghent, Columbia, New York census (dist 14 img 19) as Alida Snyder age 61. Her widowed mother Dorcas Mesick age 85 is living with her family. Found him on the 1910 Mineral Springs, Richmond, North Carolina census (dist 104 img 4) as James W. Pegram age 9 months. Based on their ages, Charles and James may have been twins. Found her on the 1910 Starkey, Yates, New York census (dist 185 img 23) as Gertrude Scott age 1. Found her on the 1920 Starkey, Yates, New York census (dist 186 img 28) asGertrude M. Scott age 11. Found her on the 1930 Jerusalem, Yates, New York census (dist 11 img 9) as Marie G. Finger age 21. Found her on the 1940 Jerusalem, Yates, New York census (dist 62-14 img 10) as Marie Finger age 32. Found him on the 1850 Potter, Yates, New York census (img 36) age 60, Waggon Maker.